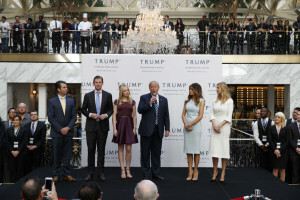 Associated Press/Evan Vucci President-elect Donald Trump is shown with from left, Donald Trump Jr., Eric Trump, Melania Trump, Tiffany Trump and Ivanka Trump at an event when he was still a candidate. He has postponed an announcement until January on how he will avoid a conflict of interest with his worldwide business empire once he takes office. 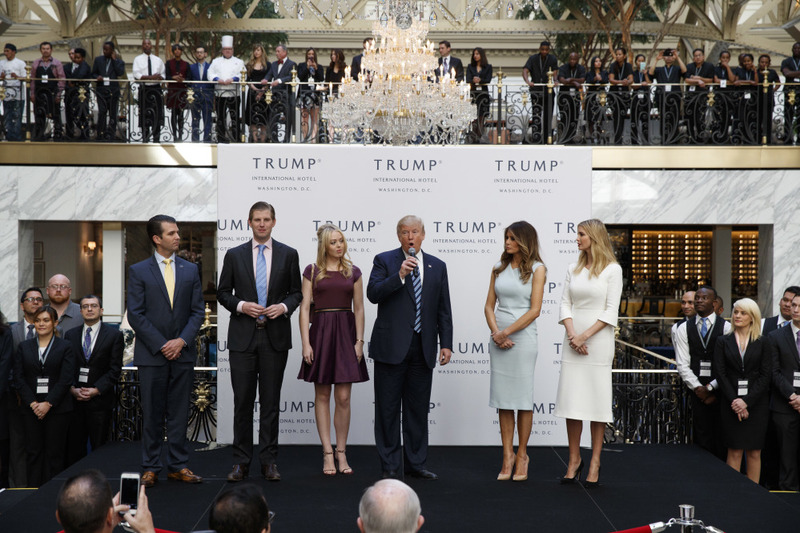 President-elect Donald Trump is shown with from left, Donald Trump Jr., Eric Trump, Melania Trump, Tiffany Trump and Ivanka Trump at an event when he was still a candidate. He has postponed an announcement until January on how he will avoid a conflict of interest with his worldwide business empire once he takes office.